The perfect beach house getaway! If you are looking for a vacation with family or friends or romantic getaway - this is the perfect location! 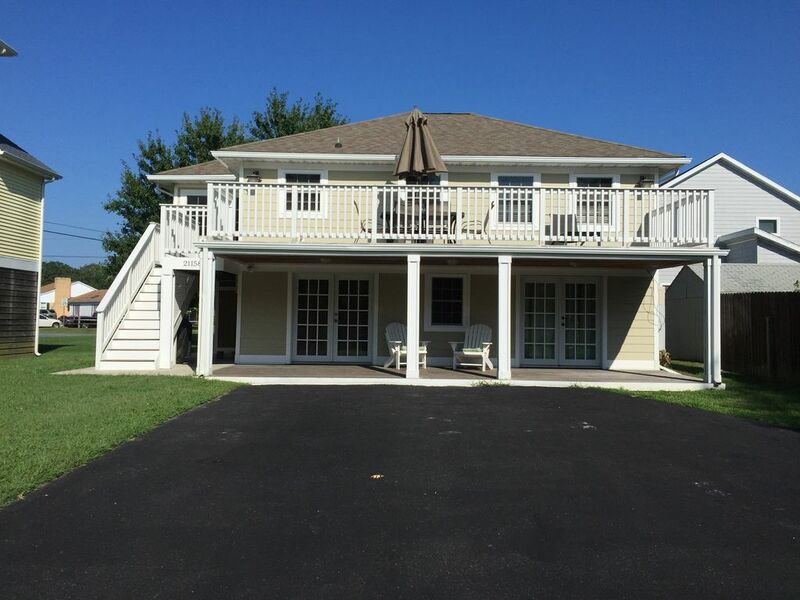 The property is walking distance from all the activities in Dewey Beach. It is located on the bayside just 2 1/2 blocks from the ocean, 2 blocks from the bay, 2 blocks from a fresh produce/mini market and of course the much desired nightlife the town of Dewey Beach is known for delivering. Rehoboth Beach is just a short trolley ride away. The property has a wonderful beach house feel. The upstairs has hardwood floors with a comfortable living room, two bedrooms and an eat-in kitchen that opens out to an enclosed porch. The upstairs deck is perfect for relaxing, sun bathing, outside meals and people watching. The downstairs has tiled floors, two bedrooms, a full bathroom, a powder room, kitchenette and covered deck perfect for reading and relaxing in the shade. The property is set up as two units, one upstairs and one downstairs with access from the outside. There is an outside shower tucked under the porch and a laundry room that can be accessed via an outdoor entrance or via the downstairs bedroom. The driveway offers parking for approximately 5 SUVs or 6 cars, no need to worry about parking permits.